2461 Red Lotus Earrings signifying new beginnings. 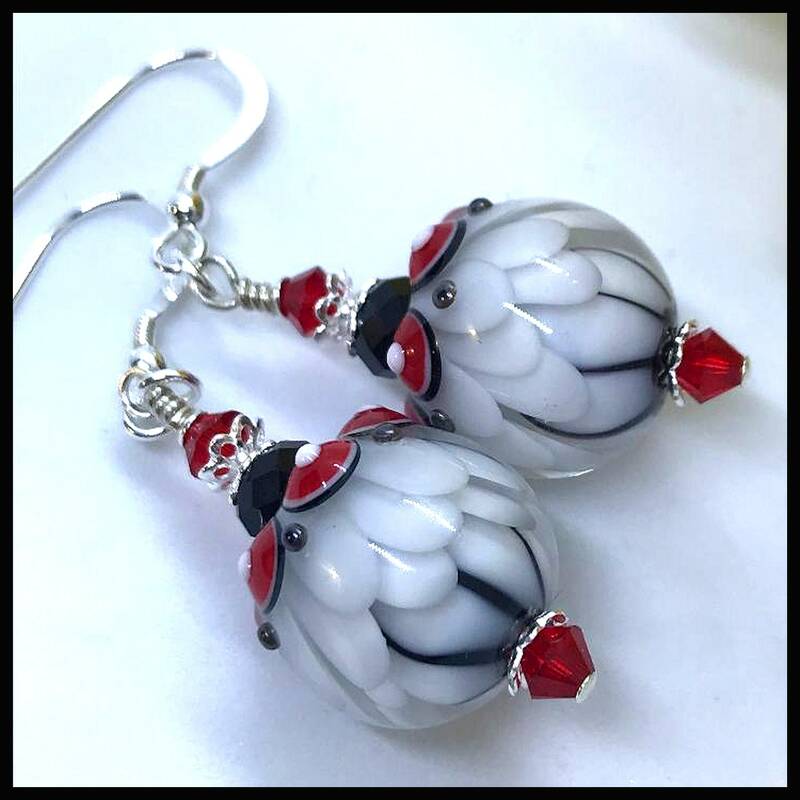 These red, black and white lotus lampwork bead are artisan made and are accented with red siam and jet black Swarovski crystals and sterling silver bead caps. The earrings hang from sterling silver 20 gauge earwires.